Have an Online Affair Story - Share it on The Anderson Cooper Show! Do you have an online affair story to share? 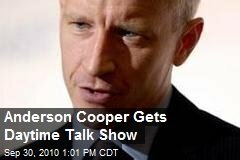 The Anderson Cooper Show is looking for you to share your story. Their wonderful staff has contacted me and they want to hear your story if it concerns cheating online in all forms. Use the contact me form on this site if you are interested and I will give you the details with the direct number to the producer.